We are a small farm in Southwest Missouri. Until recently We had and Quarter Horses and Missouri Fox Trotters... But now it is Quarter Horses & minis. My husband has broke and trained horses for years and we did run a public training facility. Our intention is to raise and train our own horses that will be good minded and friendly horses that will be a pleasure to own and ride or in the case of minis, drive and show. We have now sold this outstanding and exceptionally rare Frame/sabino Overo Registered Missouri Fox Trotter Stallion Jolene's Overonight Dutchman. We are located west of Springfield Missouri in the beautiful Ozarks just outside of Sarcoxie, MO. 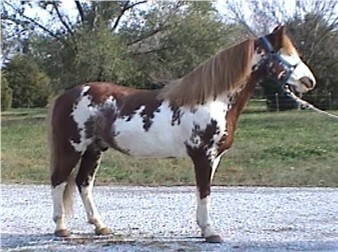 I have completed my husbands Quarter Horse Site. If you are interested in some nice quarter horses, visit his site., a link is provided on the left. 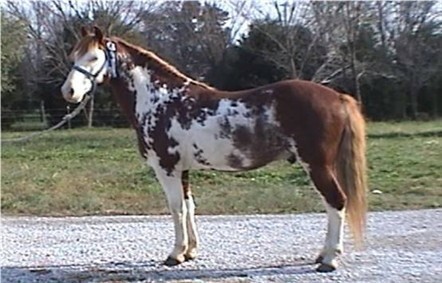 I am leaving this web site active because I still truely love the overo color and what an excpetional animal Peppy is. It is so rare in this or any gaited breed to find frame overos. So as a tribute to the OVERO gaited horse I am living this active for the purpose of education and promotion of these lovely horses. Please visit our other pages, We enjoy having company...both on our web page and here at the farm.